– well trained at the Hypnotherapy Training Institute which is one of the oldest continuously running Hypnotherapy schools in the world. Kay benefitted from learning directly from the “Teacher of Teachers™”, Randal Churchill, who is a world-renowned Hypnotherapy teacher, speaker, and textbook author. Kay draws on her 25 years of experience in helping clients make progress on their presenting issue(s) they would like to change. While Hypnotherapy is NOT psychotherapy*, Kay draws on her deep experience in the area of counseling*, as she holds a Master of Arts (M.A.) in Integral Counseling from the prestigious California Institute of Integral Studies (C.I.I.S.). 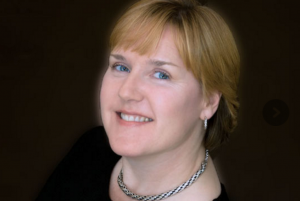 By making clients feel at ease quickly, Kay makes the process of Hypnotherapy as easy and comfortable as possible. Most clients find it relaxing. Many Hypnotherapy clients of Kay’s return to work on a 2nd or 3rd issue with her after reporting positive changes and progress from the first issue they came in with. Call Kay today at 415-420-4994 to discuss the issue you would like to address, or she’ll assist you in defining it (initial 10-15 minute consultation is complimentary). * Hypnotherapy is NOT psychotherapy or counseling, and seeing Kay Fahlstrom for Hypnotherapy does not constitute psychotherapeutic services.